Courtesy of Sotheby’s Int’l Realty-PG, T. J. Bristol. 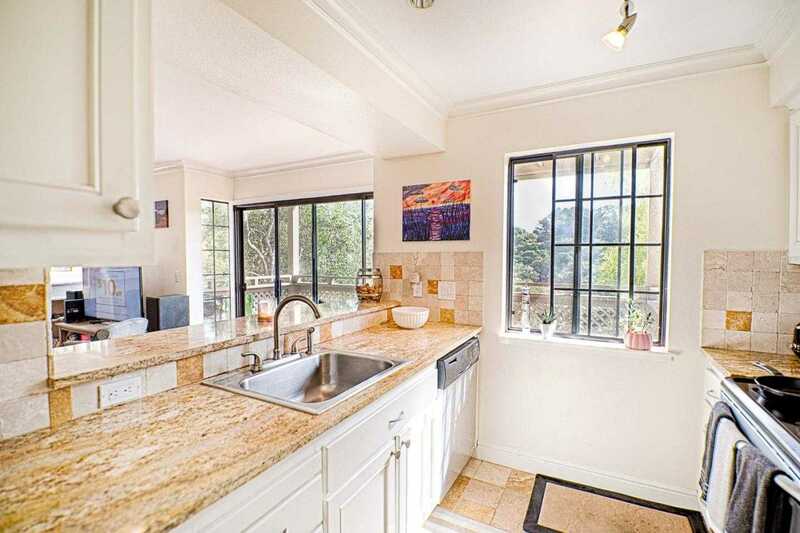 Easy condo living in a beautiful Del Rey Oaks location. The remodeled kitchen, floors and bathroom, make this a move in ready home. Cherry floors and travertine tile give this condo a rich warm feel. Nice views looking out to the green hills. This property is centrally located and 5 minutes to the beach, 15 minutes to Salinas and 10 minutes to downtown Monterey. The complex features a pool, tennis courts and a community room. Please, send me more information on this property: MLS# ML81744538 – $409,000 – 420 Quail Run Ct 38, Del Rey Oaks, CA 93940. I would like to schedule a showing appointment for this property: MLS# ML81744538 – $409,000 – 420 Quail Run Ct 38, Del Rey Oaks, CA 93940.